MDC Alliance leader Mr Nelson Chamisa was at it again yesterday when he took his tomfoolery to Madziwa, where national hero Dr Oliver Mtukudzi was being buried, after he tried to force his way into the VIP stand when he was not on the important guests list. 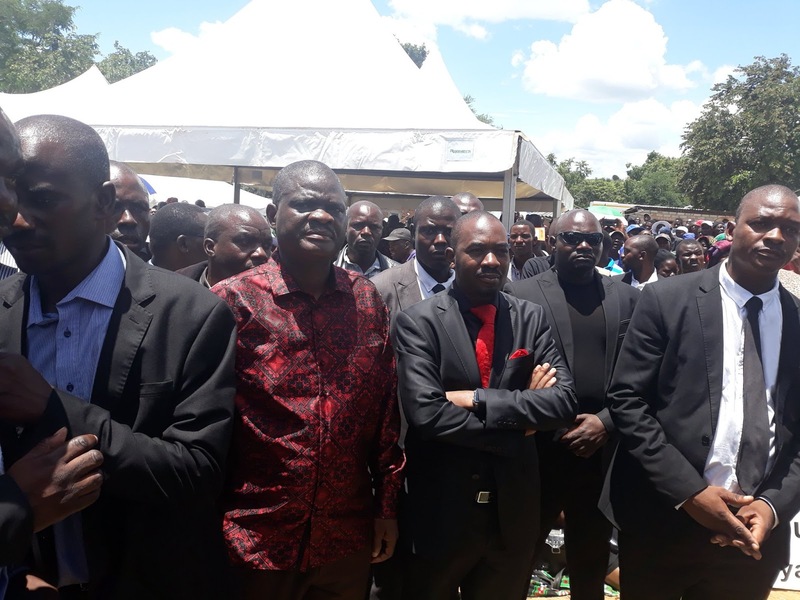 Mr Chamisa and his entourage, which included party deputy national chairman Mr Tendai Biti, chief whip Mr Prosper Mutseyami and several of the party’s Members of the National Assembly, chose to arrive at the burial as the main speaker, Cde Oppah Muchinguri-Kashiri, was delivering President Emmerson Mnangagwa’s speech. Very few people noticed their arrival. Mr Chamisa, who is increasingly proving to be a protocol greenhorn, tried to gate-crash into the VIP stand, but alert security details stopped his entourage from accessing the reserved seats. The bemused MDC Alliance team cut lone figures outside the VIP tent as the proceedings continued. They later retreated and took up space next to journalists who were busy covering the event. Cde Muchinguri-Kashiri had earlier acknowledged the presence of MDC Alliance deputy president Engineer Elias Mudzuri and Agrippa Mutambara of the Zimbabwe People First. “We are gathered here to bury someone who was humble in his career. Tuku was humble and always preached the gospel of peace, unity and love. He was one person who believed in the concept of charity beginning at home. Cde Muchinguri-Kashiri urged mourners to always shun violence. “Do not be used by those with sinister agendas,” she said. “You should know that when you murder a person in the name of politics, the avenging spirit will haunt you and your family and not the people you will be trying to please. On Saturday, the attention seeking Mr Chamisa tried to bulldoze his way into the National Sports Stadium with his motorcade, but was stopped by security agents. Everyone else, including Government ministers, were not allowed to enter the stadium in their vehicles.